You guys are the best! Took care of the problem and were a pleasure to deal with! Has been our car place for over 30 years, fast competent service, great friendly employees. I was in for a recall service. Staff was kind, explained everything and completed the job on time. Nice that they had later hours for working people. You’ll discover plenty of vehicles to choose from, so no matter the type of automobile you’re looking for we have something to fit your needs. Call us and speak to a friendly salesperson today! Our large inventory and pleasant atmosphere make us a leading Camry, Corolla, Highlander, Prius and Tundra dealership for the Indianapolis area.Do your part and drive an environmentally friendly vehicle! O'Brien Toyota Scion carries several EV and hybrid models including the Avalon Hybrid, Camry Hybrid & Prius. For a huge selection of used cars in Indianapolis, come down to O'Brien Toyota Scion at 2550 N. Shadeland Ave.. We have a huge inventory of used cars and pre-owned vehicles ready for the Indianapolis roads. Whether you’re looking for a used sports car, work truck, SUV, convertible, sedan, coupe or something else, the salespeople at O'Brien Toyota Scion will help you track one down. For a low interest rate car loan in Indianapolis, visit the experts at O'Brien Toyota Scion. We’ve helped people get the car loans for Indianapolis that fit their budget so that they could drive away with a new or used car quickly. Come down to the dealership and speak to a professional about auto finance in Indianapolis. An affordable car loan, Toyota or Scion lease near Anderson is within reach at O'Brien Toyota Scion. Get professional Toyota and Scion service at O'Brien Toyota Scion’s state of the art service facility. The O'Brien Toyota Scion car repair experts will correctly identify your vehicles problem and make a repair as quickly as possible. Schedule Toyota and Scion car repair in Indianapolis by completing our online service application. O'Brien Toyota Scion offers a complete inventory of Toyota and Scion car parts to repair your car, truck or SUV. These authentic Toyota and Scion car parts will keep your vehicle running at peak performance for many years to come. Thank you for visiting our website, and we hope to see you soon at our dealership. You can learn more about O'Brien Toyota Scion on our About Us page, but there’s no better way to get to know us than to come visit us in person. We’re located at 2550 N. Shadeland Ave.., and we’re happy to help you in any way we can. You can also contact us online. 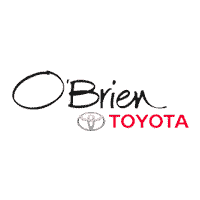 O'Brien Toyota Scion, proudly providing quality Toyota and Scion vehicles to the Avon, Anderson and Carmel areas. Indy’s only 13-time President’s Award winner!